The Swarm, a mysterious and equally as deadly army of airborne mecha-organic alien life-forms from another world are invading Thorpe Park! Beware as you enter the quaint little village The Swarm have taken over, you may just be abducted! Opened in 2012, The Swarm is a Bolliger & Mabillard (B&M) Wing Coaster, and being B&M, a smooth ride is a guarantee. On a Wing Coaster, you ride adjacent to the track with nothing above or below you, making you very exposed to attack. The Swarm take every advantage of this as you crash through a destroyed church, dive under a plane wreck, fly round a fallen helicopter and blast straight through the middle of a billboard! Offering one of the most immersive and thoroughly exciting ride experiences the resort have ever offered. 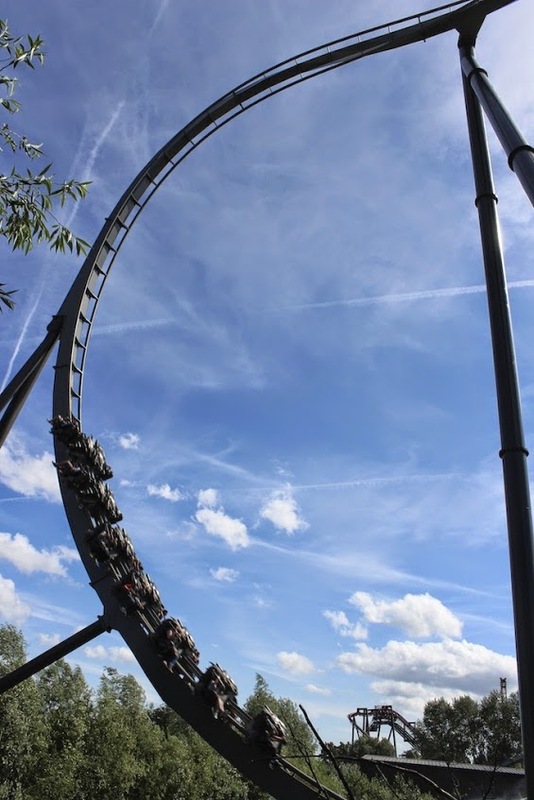 Featuring a world's first diving drop which takes you from 127ft to under a plane wing, The Swarm is nerve-racking from start to finish as speed, height and near-misses combine to create a truly thrilling ride experience. 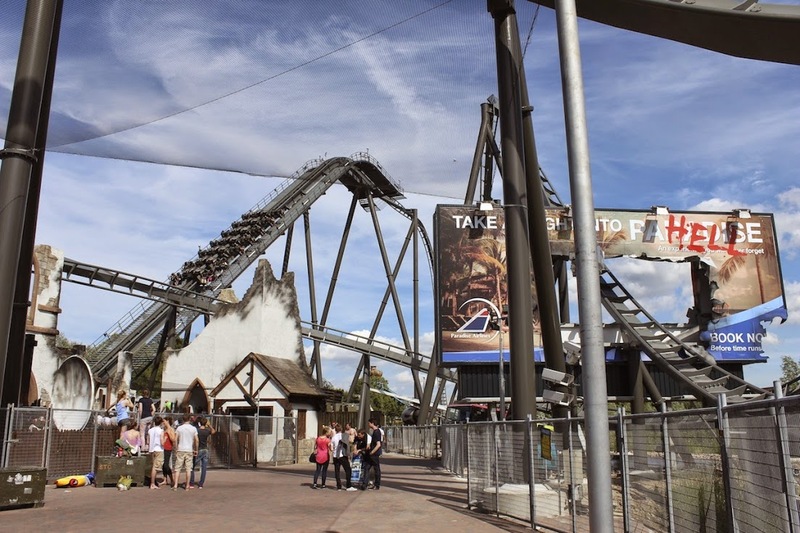 It may not be as relentlessly intense as some of THORPE PARK Resort's other coasters, but The Swarm submits you to substantial G-forces for a number of seconds, so brace yourself - war has begun! The outer-most seats of the trains give you the closest encounters to the near-misses, so be sure to grab them if you can!